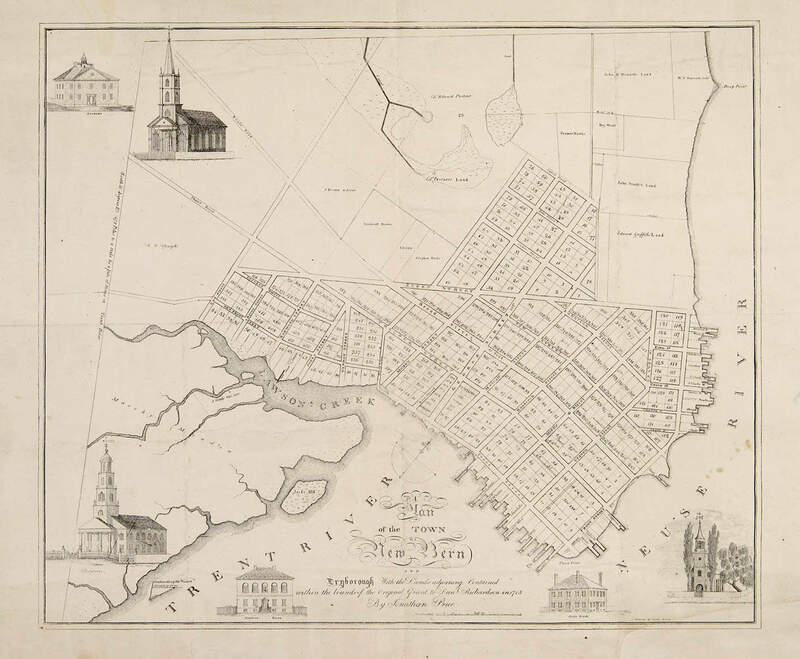 The earliest engraved North Carolina town plan is that of New Bern by Jonathan Price. 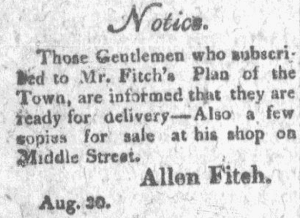 The map was engraved by the local silversmith, Allen Fitch, who advertised it “ready for delivery” as early as the August 30, 1817, issue of the Carolina Federal Republican (New Bern, NC). Image from microfilm in the North Carolina Division of Archives and History, Raleigh, NC. The first state of this copper plate engraving included vignettes of four prominent New Bern structures: The Academy [upper left corner], New Bern Bank [left of title], State Bank [right of title], and Christ Church [lower right corner]. An example of this first state is in the collection of Tryon Palace Historic Sites & Gardens and can be seen here. After Jonathan Price’s death in May 1822, his meager estate was sold at auction on September 25, 1822. Joseph Bell, executor, purchased the New Bern town plan copper plate for $10. Bell had two new vignettes added to the plate, the Presbyterian Church, completed early in 1822, and the new Christ Church, completed in 1824. An example of this second state is in the North Carolina Collection at UNC and can be seen here. This is a plate of a beautiful town which is connected with the results of our late battle. Trophies were numerous but the most vigilent [sic] ones got them. The Battle of New Bern occurred the previous day, March 14, 1862. In a post-script, Folsom referred to the map as a memento from the battle of Fort “Dixie”. Fortunately, this beautiful map has since found its way back home to “Dixie”. 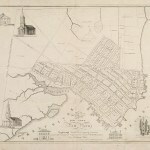 This entry was posted in 19th Century, Town Plans and tagged Allen Fitch, Charles A Folsom, Jonathan Price, New Bern by crmaps. Bookmark the permalink.